You must have spent lots to design your home. After all, your home is an expression of your personal style so it deserves to look good. But have you thought about your entrance? Shouldn’t it also reflect your identity? 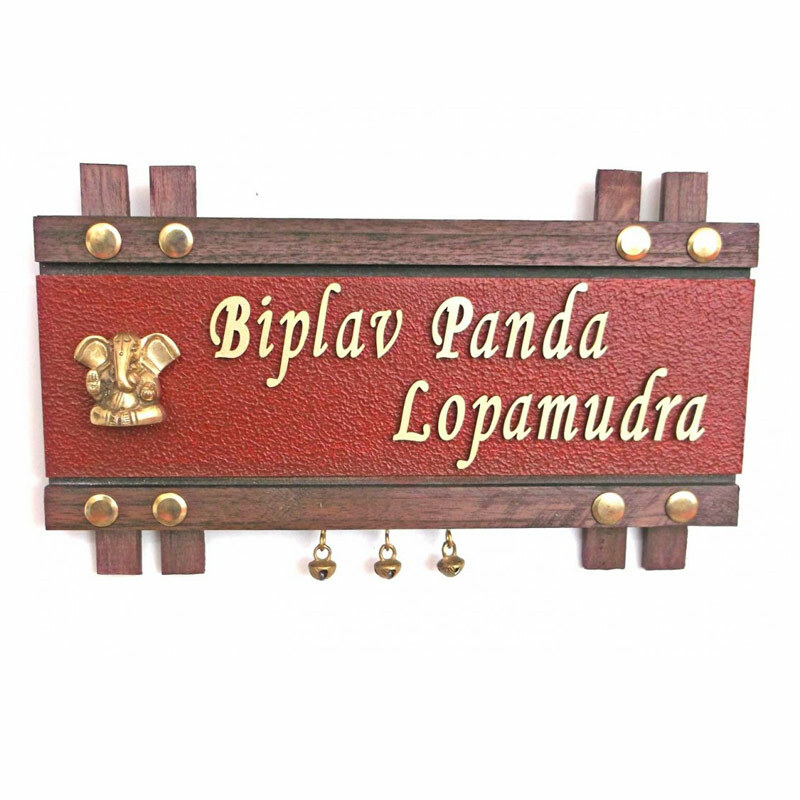 Give it your distinct touch with our handcrafted personalized name plates.Give your title an ethnic touch with this handcrafted name plate with brass Ganesh to bless your family with good luck and fortunes. Customized name in gold or a bright shade will cheer your entrance and impress your guests.Even you can ask us for customization of background color as per you choice. You must have spent lots to design your home. After all, your home is an expression of your personal style so it deserves to look good. But have you thought about your entrance? Shouldn’t it also reflect your identity? Give it your distinct touch with our handcrafted personalized name plates.Give your title an ethnic touch with this handcrafted name plate with brass Ganesh to bless your family with good luck and fortunes. Customized name in gold or a bright shade will cheer your entrance and impress your guests.Even you can ask us for customization of background color as per you choice. #this is a custom product made on order only, So there will be no return/refund possible.